follow link One year ago today our lives changed forever. It was a year ago today that we had Emma’s MRI and she was diagnosed with a brain tumor. It is a day I don’t think we will ever forget. It is strange because as I write this I can feel the same punch in the stomach I felt a year ago. I remember saying to Brent the night before the MRI that this could be the last day everything is ok, and he of course reassured me it would be alright. Unfortunately, it was the last day that we had the peace of mind that we were all healthy and happy. In some ways this has been the longest year, and in other ways I can’t believe we have been doing this for a year already. viagra jelly generic drug It has been one crazy year for our family. In the last year Emma has had 7 MRIs, 4 surgeries (tumor resection, shunt/port placement, shunt revision, port revision), 8 hospital stays, a month stay at Madonna, 29 chemo therapy treatments, and countless therapy sessions. She has proven day in and day out that she is a fighter and certainly #EMMASTRONG. We are amazed daily by her strength and spirit. She goes through so much and usually has a smile on her face. We are so blessed to have her for a daughter. We hope that the next year will be filled with meeting more milestones, and successful treatments so that she can finally enjoy just being a kid. source I’m filled with so many emotions on this day, and unfortunately it hasn’t been the easiest day. It is still hard not to ask the "what if" and the "why" questions, and I still so often just don’t understand why it is our sweet little Emma who has to go through this. This year has been filled with ups and downs, but I like to think in the last year we have become stronger and that in the midst of all of the hard times we have found a way to keep our faith strong and keep fighting for our little girl. I know that the only reason we have been able to keep going the way we have and the reason Emma is where she is, is because of all of the constant prayers and support of so many. Even though we have see our share of hard times this year, we have been overwhelmed by the love, support, and generosity of so many people. Not only is it our friends and family who have done so much, but is the kindness and generosity of people we have never even met that continues to amaze us. We have been overwhelmed and left speechless by so many acts of kindness: the flight to Boston, Emma’s benefit and silent auction in Omaha, t-shirts, websites, the volleyball tournament in Columbus, the basketball tournament in Bellevue, the Greyhounds for the Gehrings basketball game and benefit in Hildreth, and the meals and support from the Bellevue East and Carriage Hill Communities. I could go on and on and on with many other examples of kindness that have been given to us. We could fill a book with every thing that people have done for us, and I want everyone who has given us support, prayed for Emma, followed her story, and helped us in any way to know how appreciative we are. The support we have been given means more to us than you will ever know and we feel so very blessed to have received so much from so many. Thank You, Thank You, Thank You!!! see Because of our experiences this year we have had the opportunity to meet so many other families who have children fighting brain tumors, childhood cancer, leukemia and other diseases. We have been blessed to meet some amazing families and children who continue to inspire us with their stories. I don’t know if I just wasn’t very aware before, but I have come to realize just how many families are effected by these horrible diseases every year. We hope that by sharing Emma’s story we can continue to raise awareness and do our part to help find a cure. We thank those of you who have joined us in this fight with donations and also with prayer. Please know how much it means to us and so many other families. Our prayer warriors, friends and family are the best! http://jessica-ann.ca/?x=new-drug-better-than-viagra-or-cialis&d5b=fb On a lighter note, Emma had chemo earlier this week and did very well with it. We were pretty nervous because the protein in her urine has been at 100 the last two times we have done chemo. The PA said that if it was higher than 100, which it has been four weeks in a row, Emma probably wouldn’t be able to have her treatment, and could mean we may need to consider switching treatments. Thankfully our prayers were answered and her protein in her urine was down to 30. They are hoping it was high because she was sick and dehydrated during that time. We will keep our fingers crossed that the number stays down. We will head out to Boston for MRI scans on January 15th and will meet with her team out there to determine how things are going and if any changes need to be made. We will be praying and asking all of you for prayers for stable scans again, but only time will tell. http://guvenilirgyo.net/?x=purchase-viagra-without-prescription As we start the new year, we are so thankful for our family and friends. 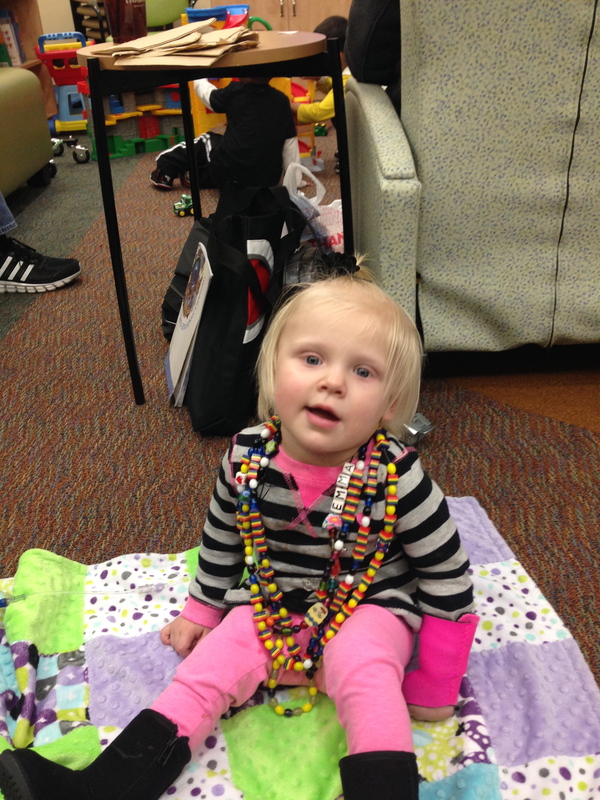 We are hopeful that 2014 will be a year of good things and pray that Emma continues to progress this year. We also want to wish each and every one of you a Happy New Year and blessed 2014. #EmmaStrong!! !